Fragment of Pullman Palace Car upholstery material, 25" x 24". Greens and browns in color. 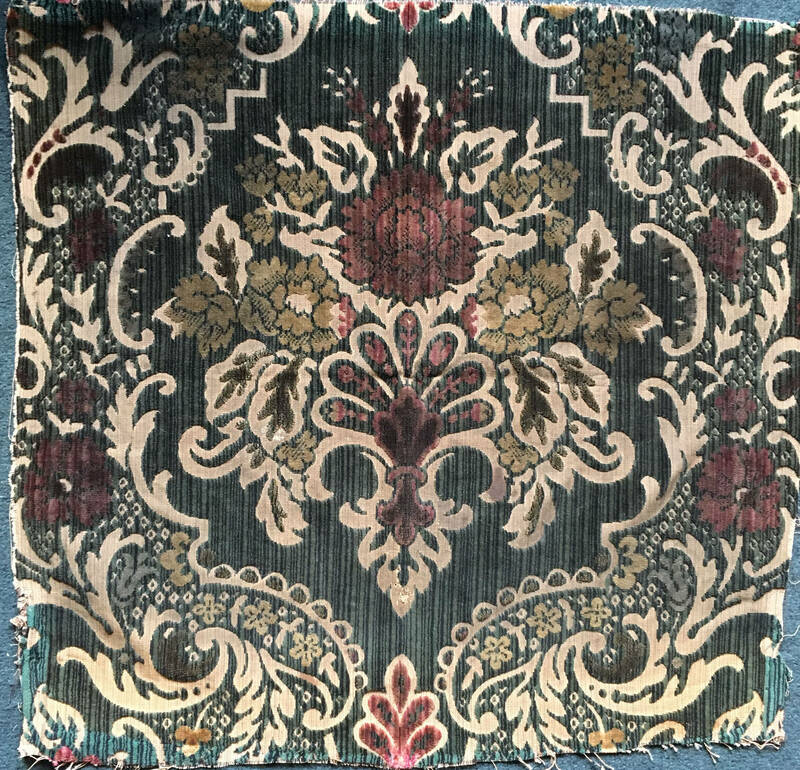 Description Fragment of Pullman Palace Car upholstery material, 25" x 24". Greens and browns in color.